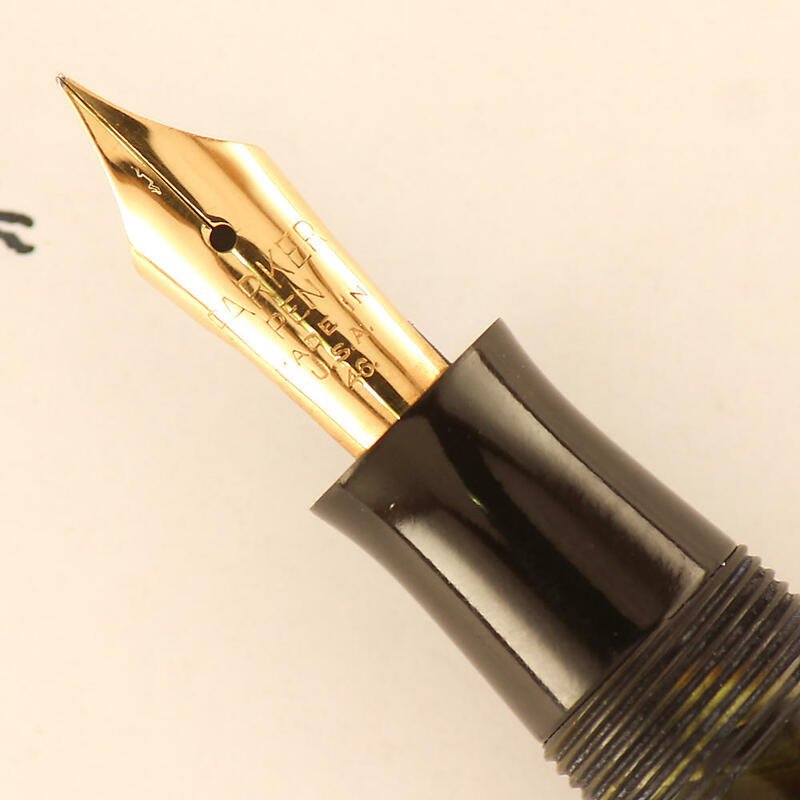 A few months back I picked up a group of pens at a local antique shop, and among them was a black 1936 Parker Challenger that was missing the cap band. 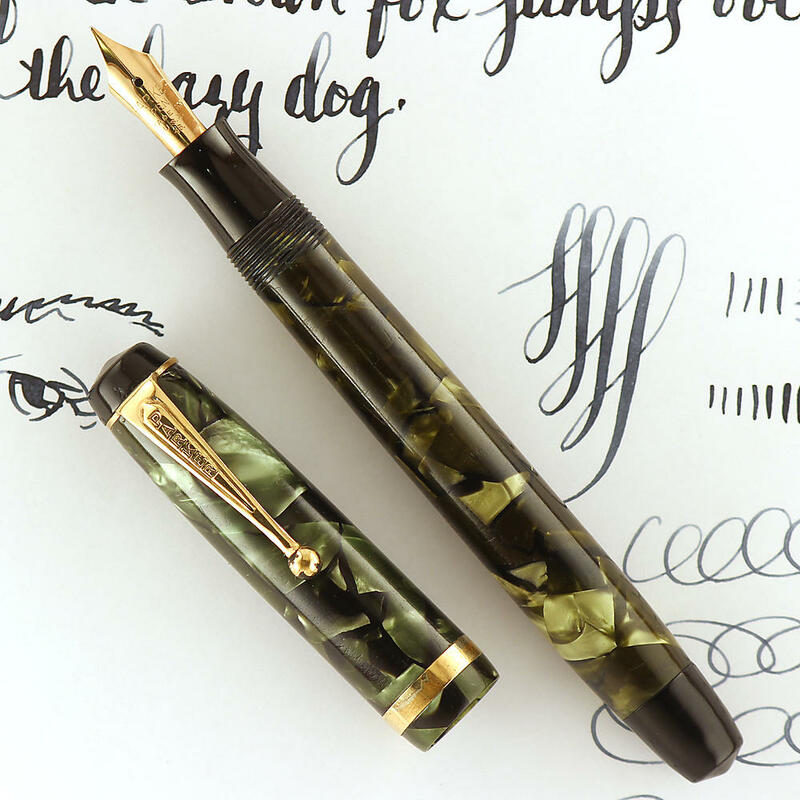 When I got it home though, I found out it had an awesome flexible nib that quickly became one of my favorite play-around-with pens (at the time). 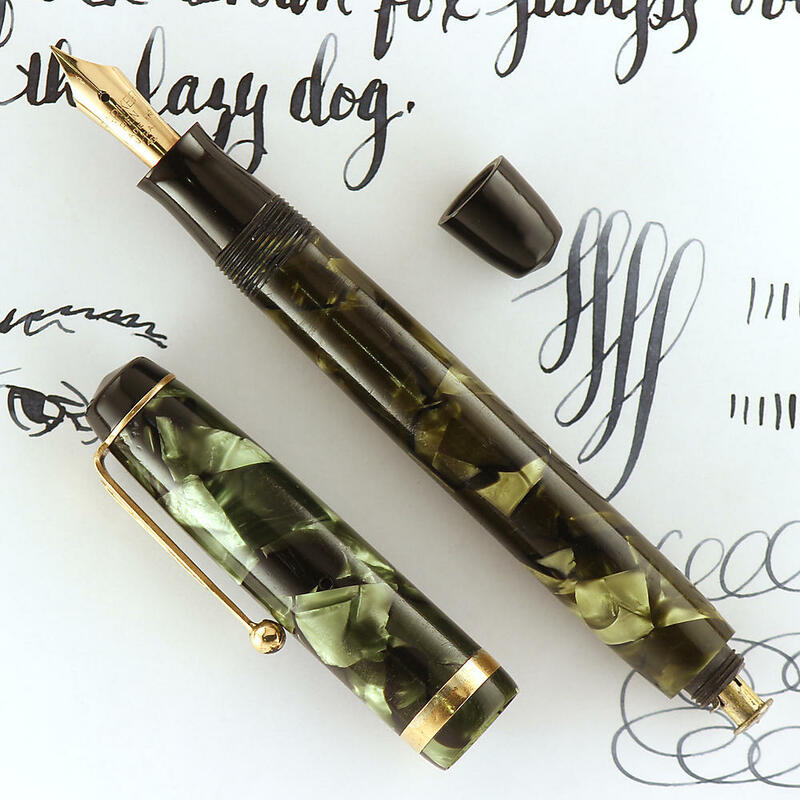 The nib, clip, and blind cap from that pen found their way to this nice green marble 1937 Challenger. 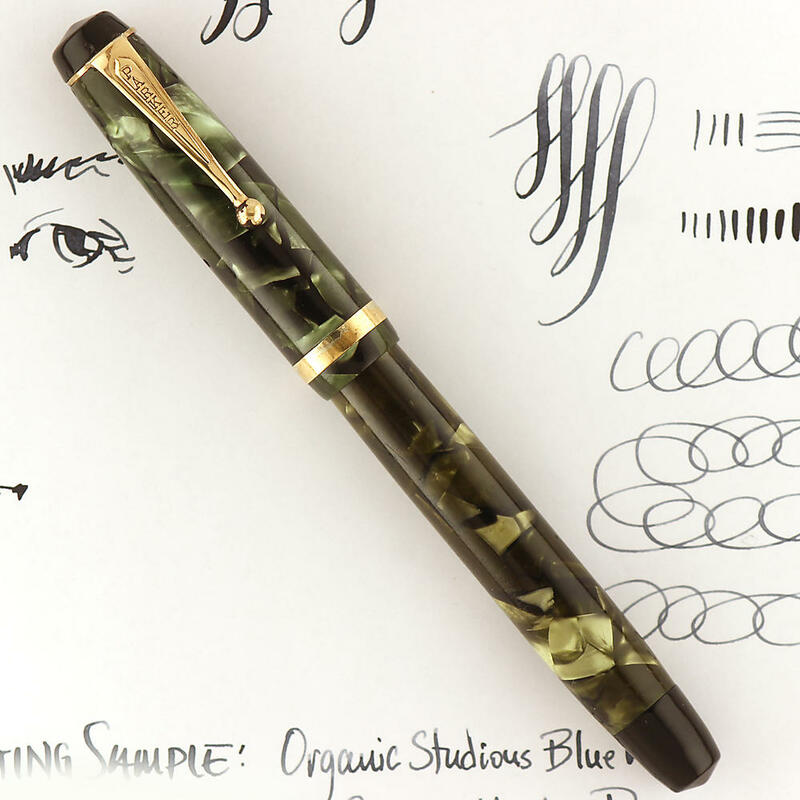 The pen is in decent shape (with some significant brassing on the cap band). After using both of these pens for awhile, I’ve realized how much I appreciate the simplicity and of the standard push button filler pen. It operates on the same principle as a lever filler, but is much simpler to operate (and you don’t have to use your fingernail to get started pulling a lever up).